The secret behind Sam’s combover - revealed! It's the Bachelor In Paradise hairstyle that's baffled the nation and it's even been compared to Donald Trump's. But before his sad split from Tara, Sam's ex-girlfriend's mum Debbie Newsome said he had a plan for his much talked about head of hair. "He says he's going to shave it all off for the wedding, but I told him not to," she told us before they announced they'd called off their engagement. 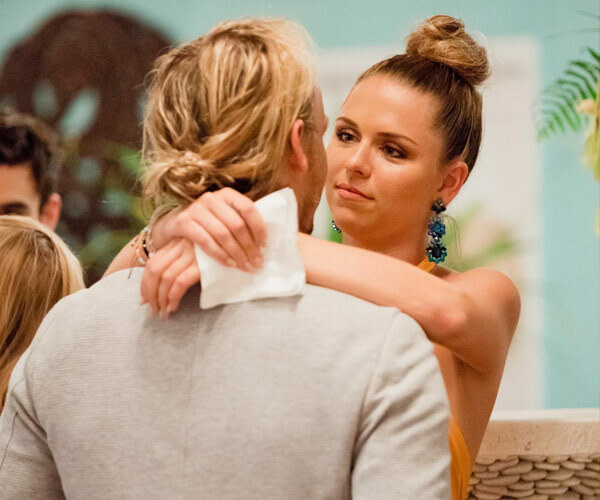 We first met Sam and his man-bun on Sophie Monk's season of The Bachelorette. It's not for everyone... But Tara was briefly on board. 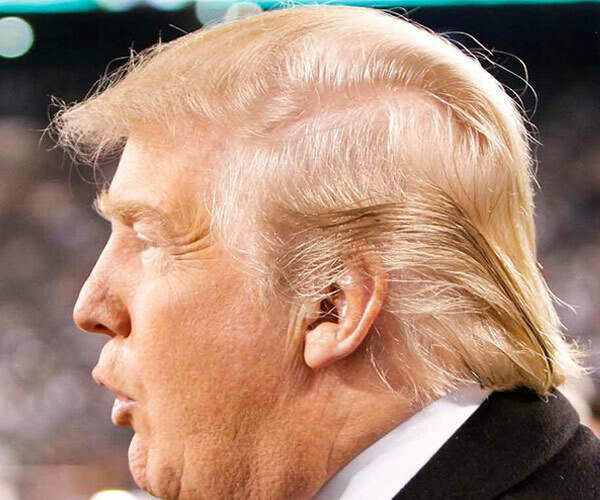 Who did the combover better: Trump or Sam? Since his debut on Sophie Monk's season of The Bachelorette last year, Sam's blonde locks – which are swept over his face and tied in a ponytail at the nape of his neck - have been somewhat of a talking point amongst viewers. In fact even his co-stars are just as intrigued, too. Celeb NewsCher announces first Australian tour in more than a decade... CAN YOU BELIEVE?! Earlier in the year, Michael Turnbull put a poll on his Instagram about whether Sam should take the plunge and have his head shaved for charity. According to the post, 85% of his followers voted in favour of the move, while 15% voted against it. Before he broke up with Tara, Debbie wanted Sam to keep his locks. Interestingly, on Bachelor In Paradise we never saw Sam go underwater or wet his hair in the pool. Sam was forced to set the record straight about his hair once for all. Hitting back at rumours he had a combover, he told Kyle and Jackie O radio listeners it was in fact a "widow's peak", and that he loves to keep his long tresses under control with the help of a "comfy" hat. "I live in hats," he said. Now can we all move on?! Listen to the latest podcast of Woman's Day Uncensored where the team dissect everything from how Meghan Markle and her dad are both shredding for her impending royal wedding to Prince Harry, to Bachelor in Paradise's Keira and Jarrod revealing their future wedding plans.